"Piano Quintet-Toward the Abyss is a masterful 2015 work rendered from Charles Baudelaire's (1821-1867) transcendent poetry that reverently culminates in a glimpse of J. S. Bach (1685-1750). This post-minimalist work of mature dexterity, following nearly 150 works composed over four decades, epitomizes the salient aesthetic means such as scattered 12-tone rows, minimalism, glimmers of melody, and music's iconic legacy by which the Quintet's synthesis of suspense in tone and material was fashioned by Cervetti." 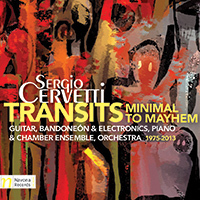 "An individual modern American composer of character, Sergio Cervetti, brings to us a new anthology of works in the chamber mode…five sobering, pointedly life-critical tone poetry expressions that question loss and commemorate the victims and their suffering…The music moves decidedly through a hermetic series of musical worlds with feeling and high expression. In the process it looks backwards and forwards as it tries to come to terms with the terminus points we all must face…Provocative and very contemporary. Cervetti communicates poetically yet directly." "Las Indias Olvidadas is a very brilliant work in which the harpsichord confronts a singular chamber ensemble. In four parts it utilizes regional rhythms from conga to malambo, nodding to the candombe, that appear to be in their pure form superimposed and reiterated in ostinati resembling the repetitiveness of minimalism, but with a vitality, originality and charm that makes it so much more." 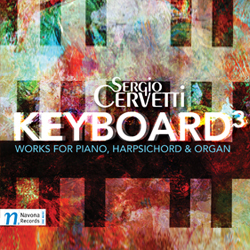 "Cervetti’s “CONCERTO FOR HARPSICHORD” is an impressive and seductive work, full of light and exuberance...within a style we can call “savage”, Cervetti does not make a distinction between folk elements, European tradition and minimalist aesthetics, they are all fearlessly and deftly blended together in a music that defies any classification." "…Thirty years ago I fell in love with a 10-minute piece for solo guitar called Guitar Music (the bottom of the iceberg) that I heard at the Columbia University Music Library when I was an undergrad there…Fast forward several decades. I briefly met Cervetti at some composer gathering in New York City and told him how much I loved that guitar piece. Not long after that he very kindly mailed me a score of it. Returning to the piece so many years later, after all the uptown vs. downtown battlegrounds had lulled to a cease fire, at least in my own personal purview, it still stood out and sounded every bit as exciting as when I had first heard it…When a full assessment of the breadth and depth of the minimalist movement in music is made one day, hopefully Cervetti's important contributions will not be overlooked. Now that there is finally some adequate documentation of his music we can be hopeful." -Excerpt from New Music Box/New Music USA online review July 17, 2012 by Frank J. Oteri. - Grego Applegate Edwards from the online Gapplegate Classical-Modern Music Review, June 5, 2015. 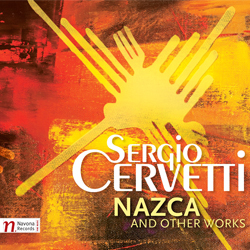 "Never has the combination of North American minimalism infused with South American influences functioned so marvelously as in the Concertino for piano, woodwinds and timpani on this CD released by Navona; these South American folk influences have always been at the center of Sergio Cervetti's music. With piano and saxophone in the foreground, it pulls the rest of the orchestra in winding pathways and thunderous landings. It is followed by three older works dating back to the late seventies. Exiles opens with the piano playing a patriotic Uruguayan theme that suddenly leaves the soundscape to a comforting tapestry of floating electronic sounds. This also dominates El Rio de los Pajaros Pintados this time accompanying and merging with the sound of the bandoneon. Guitar Music is perhaps the most minimal of this series of pieces, everything played in the guitaristic phrasing continues pressing until the end, rarely deviating from the direct route that was mapped out. Candombe from 1996 closed the CD where the composer elaborates the syncopated rhythms of a Uruguayan dance in a driving and sparkling orchestral crescendo: an exclamation point to a CD that is rich, colorful and intense." 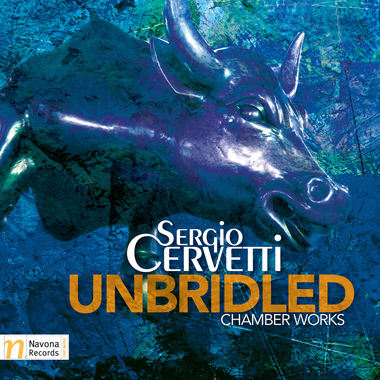 "Sergio Cervetti (b.1940) is a markedly independent composer. Almost an "outsider." From Uruguay, but with North American training (one of his teachers was Ernst Krenek), he is capable of straddling apparently distant musical worlds that range from the most formal serialism to repetitive music without disdaining a healthy influence of folklore. Four works make an exceptional calling card for those who do not know him (the composer is better-known on the other side of the Atlantic). Unbridled (2013) for string quartet introduces us to his musical world in an immediate fashion. It is a personal vision of the minimalist world, but also an undeniable suggestion of Bartok. In Plegaria (1993) he leans on a certain lyricism with post-serialist roots. Perhaps his most introverted piece. But Cervetti is capable of transporting us to other musical worlds of distinct originality and poetry. Memorias del Paraiso (2012) is his best example. A boundless creator. Nevertheless also challenging. No listener will remain indifferent. Highly recommended." -RITMO, Madrid, Spain; Review of UNBRIDLED, October 2014 (No. 878). "Cervetti gives us a self-portrait that can be startling and yet evince a spanning of vast musical spaces. This is nothing lightweight; it is quite substantial in its brilliance and craft. A good one!" "Cervetti’s “THE HOLE IN THE SKY OF THE ANTARCTICA” is a contemporary distillation of the piano works of Liszt and Ravel without any of the acidities of contemporary piano music and without sounding like a dry exercise. A language that is direct and full of virtuosity." "Cervetti is a master at his craft, combining elements from dance, classical, and electronic music into one cohesive whole...killer compositions..."
"I have now heard all the Navona releases by this Uruguayan-American composer and have consistently found his music to be highly eclectic, difficult to describe, very complex but ultimatley pretty interesting. This new release of what he calls 'DancElectronics' leaves a similar overall impression; however, I would also say that, of all his music I have heard so far, this is the collection that a mass audience unaccustomed to contemporary classical music at all may acutally get into." 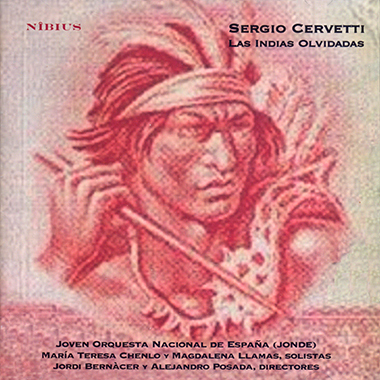 "Works by Sergio Cervetti, a composer who has the healthy intention to do what he wants when he wants it—in the noblest sense—occupied the first half of the (Alicante Festival)program with two works of opposite character (Leyenda and Las Indias Olvidadas) as if it they were from two composers: BRILLIANT!" "Now the computer has come along to antiquate much of what was not very long ago considered avant-garde...'The Mouth of Boredom', the composer tells us, was inspired by a line from Baudelaire: '[Boredom] in a yawn would swallow the world.' Thus the music opens with a gigantic yawn from which a heavy breath seems to emerge like a powerful wind. If this music blows one away, then it cannot be a statement about something that puts you to sleep. This track hardly does that; it is a summary of the best things we hear in Visual Diary." 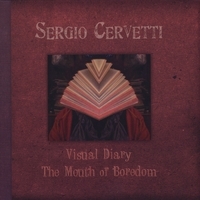 "You're in for a spectacular ride as Sergio Cervetti releases his latest album, "Visual Diary/The Mouth of Boredom," interlaced with Alternative, Electronic, Contemporary and New Age Classical creations. 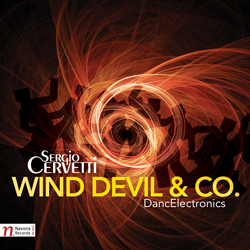 Cervetti, who is a highly accomplished composer and teacher, enlightens the musical ear with diversified sounds that are vibrant and energetic as they are invigorating. The dynamic power on "Desert Drive" glistens with interesting and mysterious ambiance. "Early Dawn" and "Sands from the East" are stunning as the crisp clarity of each instrument melds around the interesting and worldly tonality. In the style of classical music but with a New Age attitude, "Perpetuum Mobile" is nothing short of the brilliant piano deftly soaring with a fiery and frenzied pace. Highly percussive and packing powerful punches, "Flying Skeletons" weave cryptic imagery that embellishes this interesting composition. The visions and artistic musical conceptions of "Visual Diary/The Mouth of Boredom," are fabulous compositions of inspiring music that is expertly written and finely crafted." "The potential for positive achievement was wonderfully illustrated by the evening’s great find, “PLEXUS” by Sergio Cervetti... “PLEXUS” gives further evidence of Cervetti’s unusually discerning ear, his strong sense of both fantasy and order...a range of sonorities that are truly novel and genuinely intriguing." 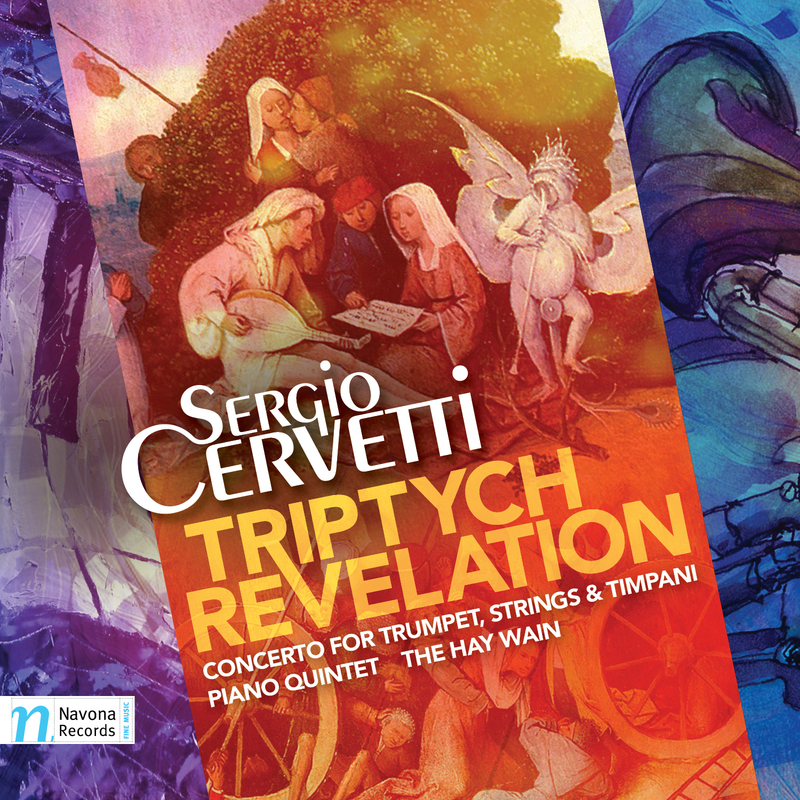 "The most important piece was “FIVE EPISODES” for trio by Sergio Cervetti. He composes in a clear, non-tonal style with eruptions and sound experiments.... A host of original ideas. An exemplary piece of music." "“...from the earth”... worked well indeed with burbling new melodies and figurations." "The most memorable work was “...from the earth”... It is obviously the work of a gifted creator." 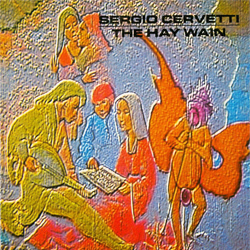 "Cervetti’s minimalist “GUITAR MUSIC” is one of the most effective works in this style." "“THE HAY WAIN”... is a substantial recording, noteworthy in the sea of fluff that passes for electronic music these days." "Cervetti ...has constructed a work of singular beauty in his MADRIGAL III for 2 sopranos and Chamber Ensemble." "Ms. Marshall was also the soloist, with a harpsichordist, Christopher Oldfather, and the Essex String Quartet, in a haunting setting by Sergio Cervetti “HOUSE OF BLUES”." 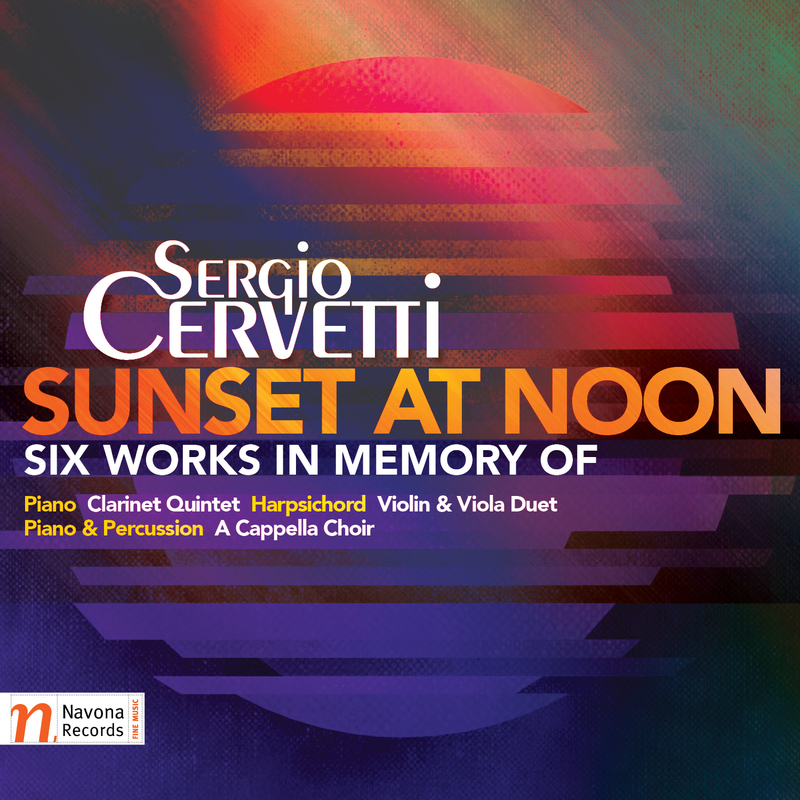 "The highly inventive settings for the dances, composed by Sergio Cervetti, is a set of variations on “Forty-Second Street”... Cervetti’s process, involving various keyboard instruments and synthesizers is as complicated as Rinker’s but it is a great pleasure." "Mr. Cervetti's 'PASSACAGLIA' is nonetheless a listener's joy, captivating in its rich structure and its very sound." "Sergio Cervetti’s electronic score sometimes jostles the bridge noise, sometimes darkens and hollows the wind, sometimes shapes its song into a melodious ringing..."
"I wish you all success with the promotion and marketing of "Elegy." It truly is an exceptional piece, certainly deserving of many productions in this country and abroad, and I look forward to the opportunity of being able to work on it again."